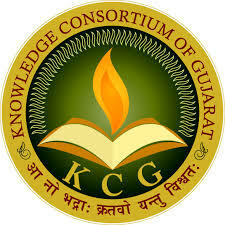 Knowledge Consortium Of Gujarat (KCG) has published Advertisement for below mentioned Posts 2018. Other details like age limit, educational qualification, selection process, application fee and how to apply are given below. Soft Skill: Self Awareness-SWOT, Self Esteem, Self Confidence, Empathy, Team Work, Life Goal Setting, Observation and Concentration Skills, Self-Discipline, Commitment, Critical Thinking Stress Management, Problem Solving and Decision Making, Interpersonal Skills, Negotiation Skills. 1) Graduation/Post Graduation in any subject with certification in Soft Skills programme from any recognized State or National or International Institute. Graduation/Post Graduation in any subject with experience of Soft Skills programme and corporate Training. 2) Knowledge of English, Gujarati or Hindi language essential. Time: 12:00 to 04:00 p.m.